Finally getting these cards blogged. Have you seen/heard of Hello Bluebird? I have just recently discovered them and I must say ADORABLE!!! I fell in love immediately! I snatched up a couple sets to play and the quality of these stamps is amazing and the dies just as awesome. I could’t wait to color up these sweet elephants from Elephant friends stamp set. 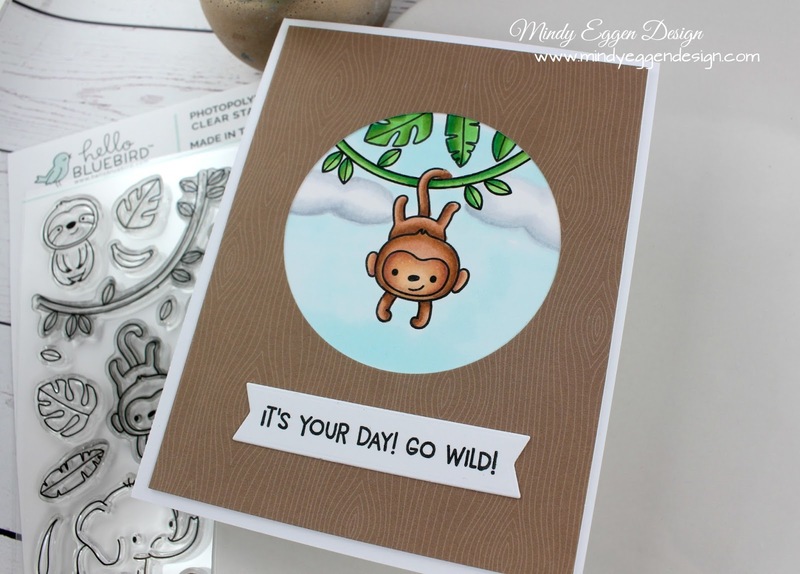 I stamped them out onto Neenah white cardstock with copic friendly ink. I colored them up with my copic markers and die cut them out with the coordinating dies. I couldn’t decide which one to use so I added them all to a card ! 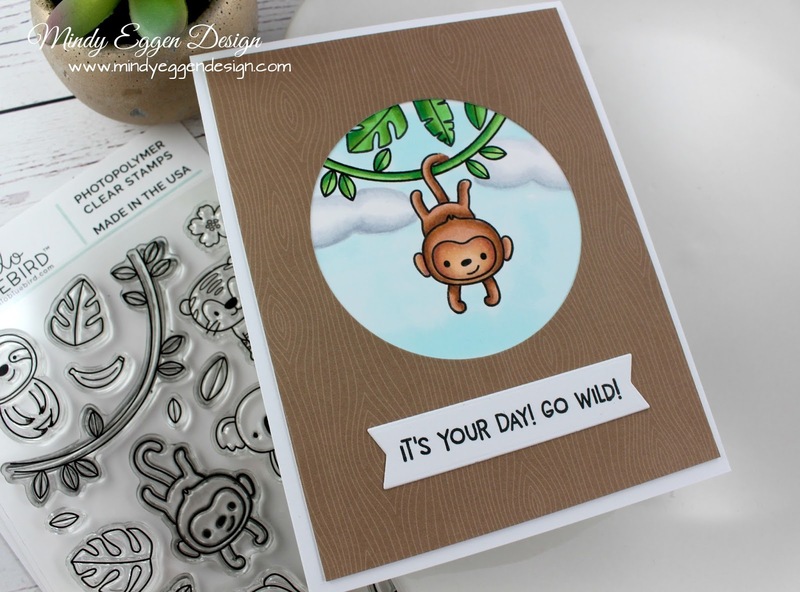 The stamp set I played around with is Jungle Littles. 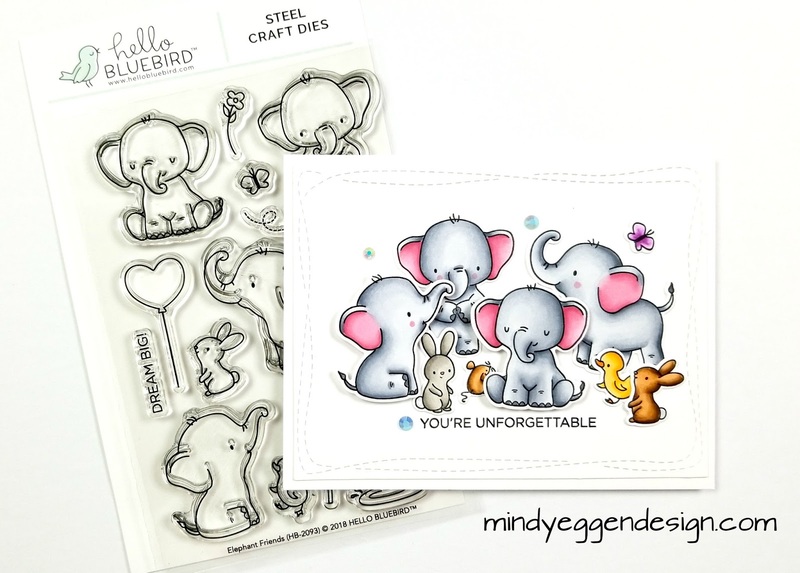 These are so sweet and cute and so many elephants to create different scenes with. 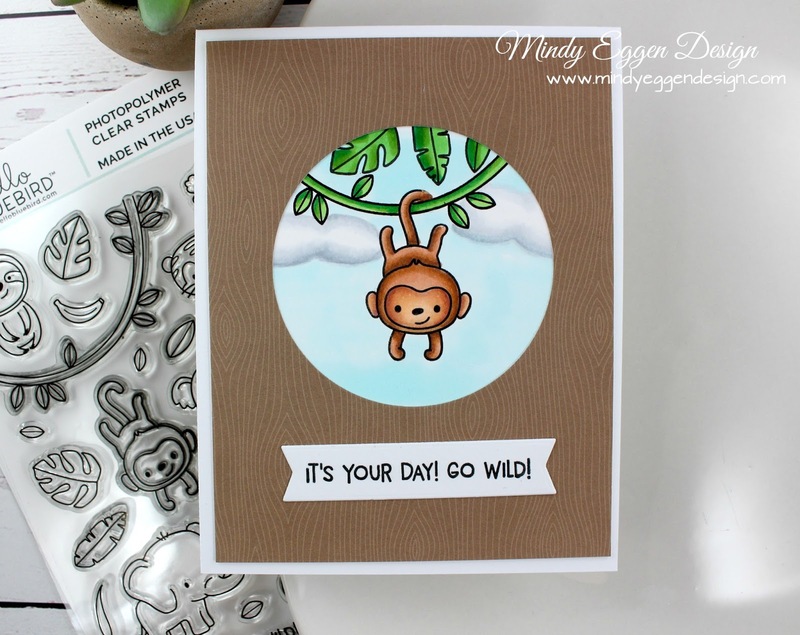 I opted for the little monkey hanging on a vine. I had to do a little masking to get it to look like his tail was behind the vine. These sets also come with some adorable sentiments and I just love these font on them! For this card, I cut out a circle from a piece of brown pattern paper so it looked like a window. I also stamped the sentiment on a banner I cut from white cardstock. I hope you’ll head over and check these out. So many more stamps set that are on my wish list!